Another installment in our discontinuous series of “blog tour” posts featuring fellow members of the Codex Writers online community. The Amazing Conroy has taken his hypnosis act beyond Human Space. It should be show business as usual, except for the bigger-than-a-planet energy being that wants to study him, the rival aliens pulling him in opposite directions, his buffalito lapping up liquid gravity, and the small matter of a hypnotized ghost… Join the continuing adventures of the Amazing Conroy in Hugo-nominated Lawrence M. Schoen’s new novel: Buffalito Contingency. In yesterday’s post you mentioned dealing with Bell’s Palsy while you were working on the book, but did you encounter any other major obstacles while working on Buffalito Contingency? My biggest obstacle is always getting out of my own way. I get so excited wanting to tell the story I have in mind that I neglect to follow the requirements of good storytelling. Taos Toolbox went a long way to reminding me about that, as well as giving me some critical tools to keep me on track. Probably the most fundamental of these is remembering to always look for the narrative engine in a story. What’s driving everything? This may or may not be the same thing as the protagonist’s motivation. It may or may not be what your plot’s all about. But you have to be clear on what it is, otherwise your characters are just going to wander aimlessly. Motivation is a good thing to have. Plots and conflicts are essential. But the narrative engine pulls it all together. It’s what the book’s all about. Focusing on that, finding the answer to that question, pulls me out of the woods. What was the biggest surprise you got out of working on Buffalito Contingency? Is there anything in particular you hope your readers get out of the book? My biggest surprise was how much better this book was than the first one. And I was really really happy with the first one. My publisher had a similar reaction. We were on the phone and he said, “Lawrence, you know I loved the first novel, so don’t get me wrong, but this one is so much better.” I didn’t take any offense. It was all true. Either book is an enjoyable experience for a reader, but when you go from one to the other you can see how much I’ve changed (dare I use the word “grown”?) as a writer. What I hope readers get out of this second novel is a return to that old fashioned “sense o’ wonder” that I remember from the books I read when I was a teenager. That’s what I’m always trying for. I think the formula for that is a mix of adventure, fun, cool aliens and alien cultures, and a satisfying resolution to the story. I want people to read my work and have a smile on their faces when they finish. As someone who very much enjoyed Buffalito Destiny, I look forward to verifying that this novel is better. Meanwhile, what’s your next project … and what did you learn from Buffalito Contingency that you’re applying to it? I have several projects waiting in line. Some of them are related to one another. I want to pull together a collection of all the published Amazing Conroy stories, and write several more (including a novella), and convince Hadley Rille to publish it as my next book. I just wrote one of those stories in March, submitted it to an anthology on the last day of the month, and received an acceptance three days later. The Conroy novella I want to write has been brewing in the back of my mind for a couple of years. There are elements in it that set up events in the novel arc I’m planning, though we won’t see any of them for at least two more books in the series. There are other elements in it that figure prominently in another novel I’m working on that’s set in the Conroy Universe (or Conroyverse! ), but that book is much darker than the Conroy stories. So, I’m about to start plotting out the novella now, and after that’s done I’ll work on the related novel, probably taking time off from it now and then to put out another short story or three before that’s done. Finishing Buffalito Contingency, post-Taos, taught me a whole new way to approach plotting out an entire novel or short story. Prior to that, I’ve been more of an “exploration” writer (or less politely, a “seat-of-the-pants” writer), albeit I’ve usually known something about the end state that I was aiming for. Now, I’ve found a way to be much more structured. I applied it to the novel, and then more recently and more assuredly to the short story I wrote in March, “Yesterday’s Taste.” Probably the most remarkable side effect of this approach, at least for me, is much less waste. In the past, I’d write, and rewrite, and rewrite, and rewrite some more. I’d go through many many drafts. This last story, I basically wrote it in one draft, and then sat down and in one night did some edits and had the thing done. It was breathtaking! Thanks, Lawrence, for giving us such great insight into the work of writing and publishing good stories. Lawrence M. Schoen holds a Ph.D. in cognitive psychology, with a special focus in psycholinguistics. He spent ten years as a college professor, and has done extensive research in the areas of human memory and language. His background in the study of the behavior and the mind provide a principal metaphor for his fiction. He currently works as the director of research and chief compliance officer for a series of mental health and addiction treatment facilities. 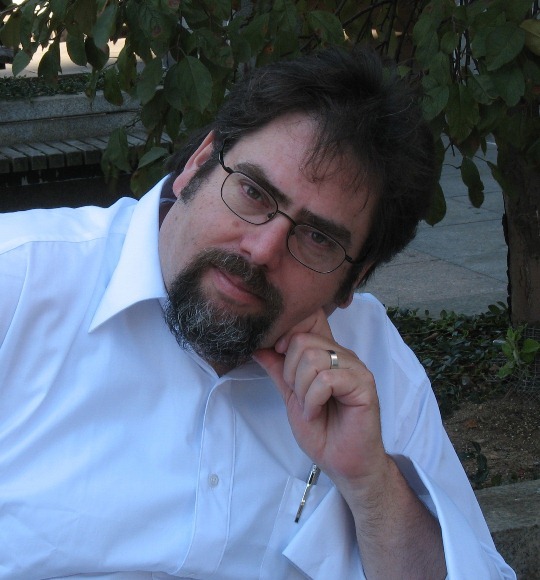 He’s also one of the world’s foremost authorities on the Klingon language, having championed the exploration of this constructed tongue and lectured on this unique topic throughout the world. 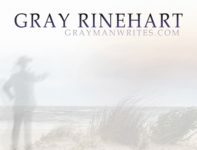 In addition, he’s the publisher behind a new speculative fiction small press, Paper Golem, aimed at serving the niche of up-and-coming new writers as well as providing a market for novellas. In 2007, he was nominated for the John W. Campbell Award for best new writer and in 2010 received a Hugo nomination for best short story. He’s also been pushing a kind of SF Polyglot project that he calls B.W.O.P. (the Buffalito World Outreach Project). His second novel is listed on Amazon now, but doesn’t “officially” come out until late June. Lawrence lives near Philadelphia with his wife, Valerie, who is neither a psychologist nor a Klingon speaker. 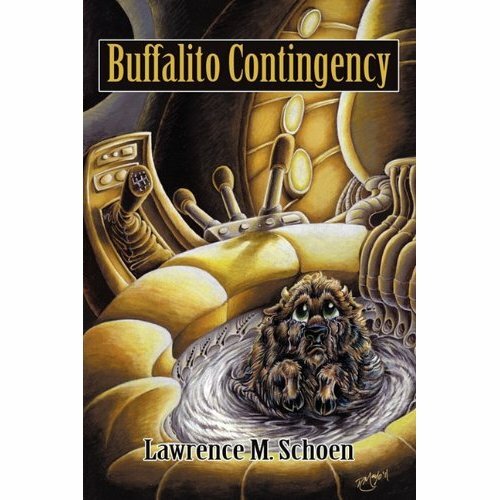 For more information on Lawrence and his books, visit his web page at http://www.lawrencemschoen.com.